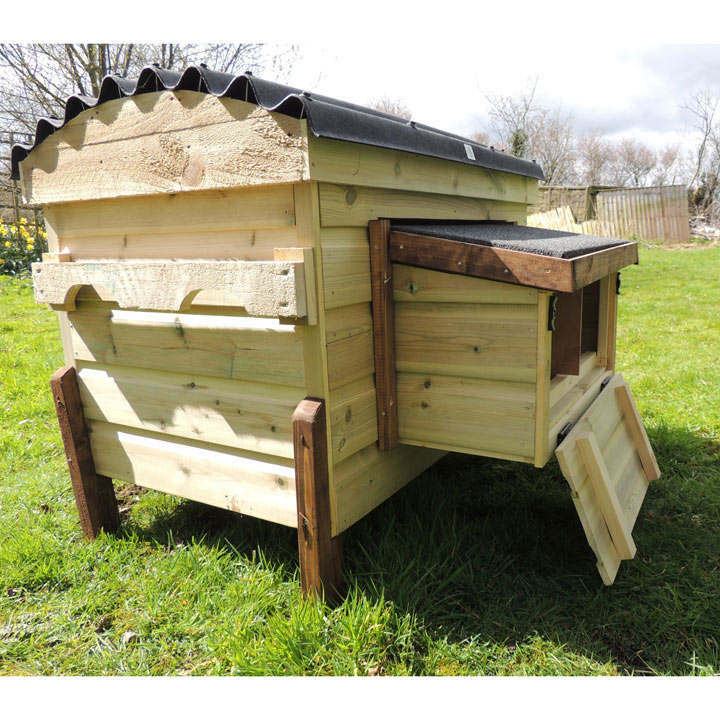 A multi-purpose unit suitable for housing chickens, bantams, pheasant, rabbits or guineapigs. The "onduline" roof is removeable for ease of cleaning and the double nest box is accessible from outside. FSC® approved.